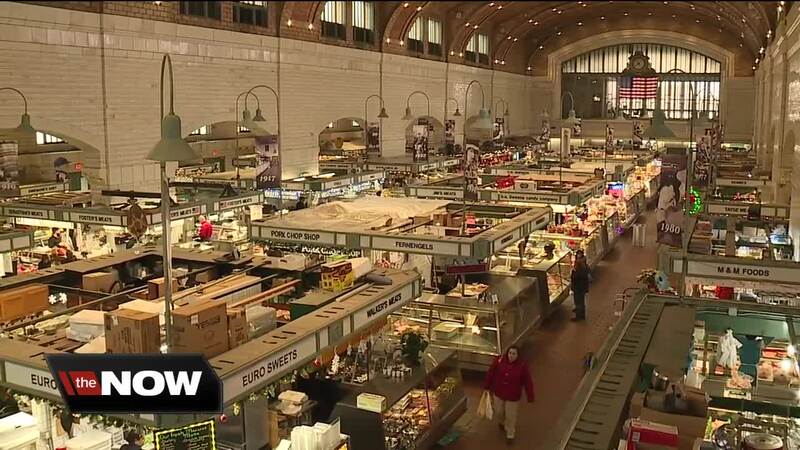 CLEVELAND — Makeshift lighting, faulty wires and dangerous setups are complaints from some tenants in the West Side Market in Ohio City. Some claim the City of Cleveland is not keeping up with their end of the deal. The claims come after a Facebook post from Kate’s Fish about electrical concerns got quite a bit of attention. In a December 8 post, the shop asks the city to fix the lights in their cases, and said they are forced to use dangerous, dim temperature lights, which could cause electrical shock to folks working the counter. Despite multiple emails, service requests and calls, they said nothing has been done. “The electrical set-up pictured in the Facebook post is not approved by the market because it does not adhere to proper electrical standards. It was installed by the vendor at will, along with other large equipment not intended for the stand’s electrical system. “The city needs to realize our operational issues,” said shop owner, Tony Pinzone. He’s been running Anthony Pinzone Meats for decades, and said problems with lighting are just the start. During the summer months, he said humidity can cause electrical issues in the cases. Despite filling out complaints, which is the proper protocol outlined by the city, he said not much has been done. Folks are helped in order of priority, if at all. With a dim lit product, he said customers could pass him up. “Two stands down, there’s someone selling a similar product to what I’m selling. It’s puts everybody on their game,” Pinzone said. On top of the maintenance woes, rent is going up for a third year in a row, forcing business owners like Travis Alley to shut down shop. “We lost a few businesses last year, and there will be a couple more this year. I myself am closing my business in a week or two,” Alley said, who runs Rooted in Cleveland and is the Vice President of the West Side Market Tenant Association. With the constant cycle of rent increasing and shops closing, he is worried about longevity of the market. “It’s not a sustainable model for the next five years or so,” he said. Since the West Side Market is owned by the City of Cleveland, Alley said upkeep is on their time. Every service request for nearly 200 vendors must go through the city, making it a slow process, leaving owners to think on their feet. “It’s a really exciting time for food in Cleveland, and whatever happens with the market in the next two or three years is going to determine the course it takes over the next hundred years,” Alley said.